Maybe, the Yaru folder icons would look nicer within the squircle? Or, maybe “squircling” them make them somewhat ugly? I like it the way they are now. The standard size of the icons are smaller by some % (grey square around the icons below) and some of the standard icons are of different sizes. If they are inside a squircle, they may be made to look consistent, I suppose. Squircled as in iOS, but not really covering the square, for example 256x256. At the moment it is ~82%, which is somewhat less useful. The squircle should take up as much as possible space within the 256x256 square. There is a loss of ~13% in height/width ratio. 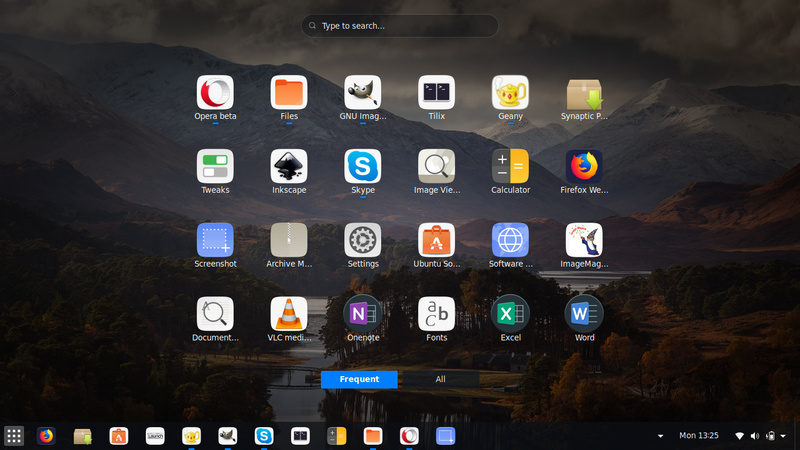 The Desktop is not placed in a squircle, for there’s no desktop as such. As it can be seen, that square in the ‘squircle’ is not exactly square, so it is not a squircle, but a rectangle-cle, flatter on the horizontal. If the squircle was a square-cle, then the Trash icon, for example would look nice (consistent) on the dark Yaru theme. They are not squares, so not squircles – not a square with rounded corners. Just rectangles with longer horizontal sides, or rectangle-cles. Note the round icons; the round icon touches the sides the 256x256 square exactly. Below is an exactly square squircle icon. The folder image in it is still has the rectangle look. And, this is the full icon, covering ~98% of the 256x256 square. But, maybe having rectangle-cle icons are better for eyes, only the colours (at least for me) should be changed to something like cyan or teal. Random non-squircled icons with somewhat lighter background, easy on the eyes. Not really a fan, unless the color can be automatically configured to be filled with a “complementary color” (not really sure what word I’m looking for). I just don’t want it to look white (like in Google’s apps on iOS and Android). Not infringing on anyone’s rights, btw, just experimenting. 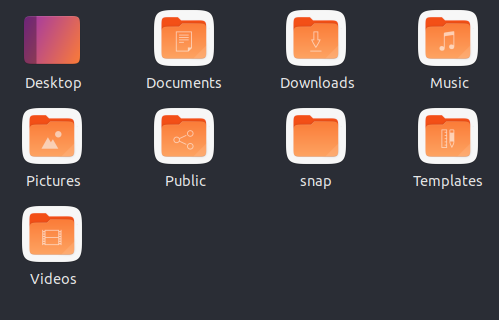 Hope the Yaru team would create its own background and icons for Ubuntu. Not infringing on other’s rights, just playing.